Earphone use. 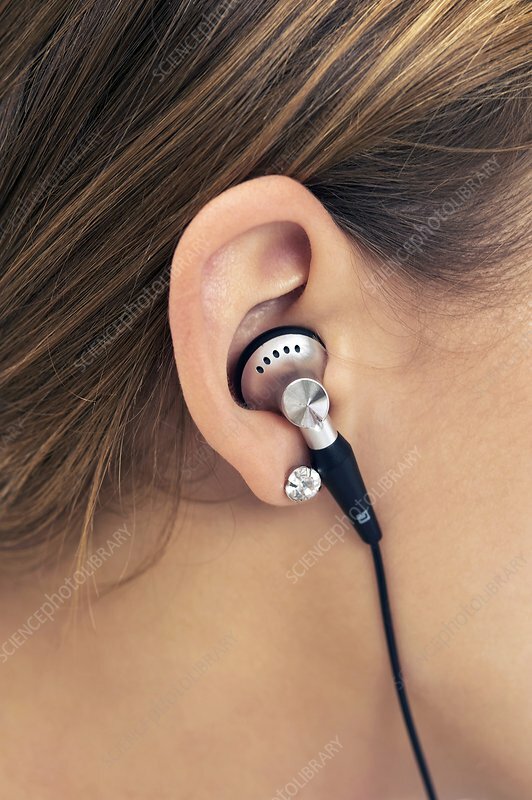 Close-up of an earphone in a teenage girl's ear. Earphones can be used to listen to audio output from a variety of devices, such as a laptop computer, or a portable music player.